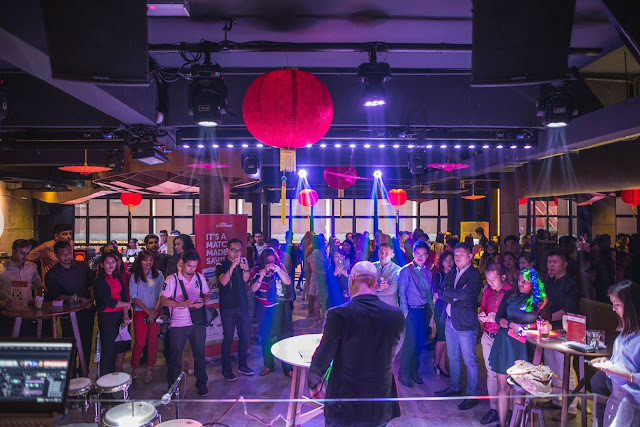 The ENTERTAINER, the region's leading Buy One Free One incentives brand, has officially launched the ENTERTAINER Malaysia 2017 in an exclusive "Perfect Match" party with the media, social media influencers, partners, and sponsors in attendance at Jiro KL in Bangsar, Kuala Lumpur on January 17. It was a thoroughly enjoyable evening filled with excitement, lucky draws, pub quiz and awesome giveaway prizes to lucky winners. Meeting new acquaintances and catching up with old blogger friends together with tasty refreshments and cocktails was a winning combination for a fun night out. Entertainer is a Buy 1 Free 1 App that I love! Wish you could have the opportunity to socialize and dine out more with friends & family or treat you and your other half to a rare getaway in a fancy hotel or indulge in a relaxing spa without having to break the bank? It can be a struggle nowadays especially with our increasingly busy and fast pace of life, together with the challenging economy and ever frequently increasing prices. Well, now it's possible thanks to The Entertainer! Thanks to this money saving app, I've had the opportunity to go places with my partner and only spend half as much as I would have if I didn't use it. 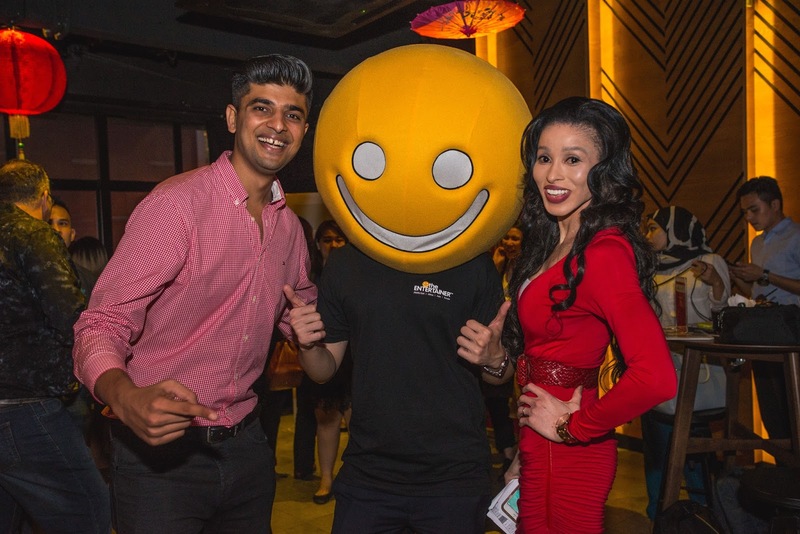 This year, the ENTERTAINER also introduces Cheers Malaysia 2017, which includes 1-for -1 offers exclusively redeemable on drinks in the hottest bars and restaurants. 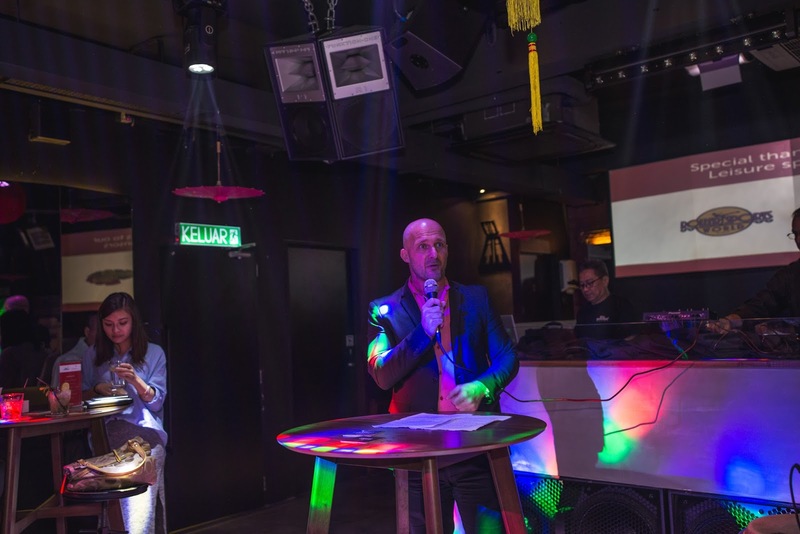 Offers range from single beverages to bottles of wine spirits/buckets of beer, double cocktails, pitchers and more in popular nightspots such as COMO, Torii, View Rooftop Bar, Jiro KL, Paus Craftbeer bar, Myra's and more. Did you know - In 2016, ENTERTAINER members in Malaysia used over 16,000 digital offers, with the average member saving over MYR 520. The most recent update on the App is the introduction of 'Smiles', a virtual currency system that allows members to earn and spend rewards throughout the year. Rewards include offer top-ups, for when you've used all three at your favorite spots, extra Pings and more. 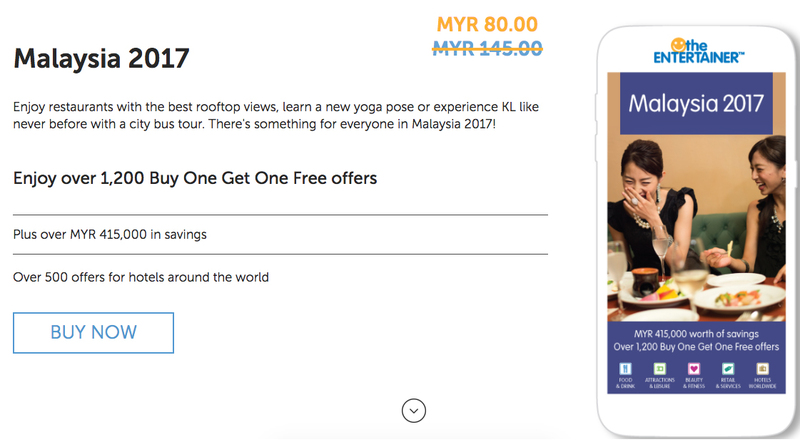 Buy Malaysia 2017 and get Cheers Malaysia 2017 free! With the purchase of all 2017 digital products, ENTERTAINER members will also enjoy exclusive access to 'Hotels Worldwide', which includes Buy One Night, Get One Free offers at over 500 hotels across the Middle East, Asia and Africa. Choose from hotels, resorts, hotel apartments, bed & breakfasts and lodges in over 30 popular destinations such as Thailand, Vietnam, Dubai, Indonesia and many more. Hotels Worldwide includes international hotel brands such as InterContinental, Marriott, Fairmont, Sheraton, Radisson, Sofitel, Shangri-La and Hyatt. Whether you are looking for a relaxing staycation right here in KL or an overseas adventure, Hotels Worldwide is your ticket to great savings. "Our 2017 products deliver incredible value at the most extensive range of outlets available, giving our customers the opportunity to save money, go out more and spend quality time with friends and loved ones," said Donna Benton, Founder and Chairman of the ENTERTAINER. "The newest update to our world-class App offers more benefits and value than ever before, so there is truly no better time to be an ENTERTAINER member." The Entertainer Malaysia 2017 App is available to download free on iOS or Android app stores. For more information click here.